Have a fun and festive Easter celebration for the whole family at Sapori Deli by Fairmont Jakarta. Have a fun and festive Easter celebration for you and your whole family at the luxurious confinement of Fairmont Jakarta. Feast on a brunch selection of the finest Italian dishes that are specially prepared by Sapori Deli. Immerse your children in the Easter mood with Sapori Deli’s Easter Kids Zone that features a special kids menu buffet and fun Easter activities that will surely be unforgettable. Start your Easter morning with a delicious buffet spread of Italian dishes including Margarita Pizza, Roasted Lamb and Chicken Picatta. Complete the experience by relishing in the classic taste of Italian Tiramisu that is surely perfect for Easter Sunday. Children can revel in their own special Kids Buffet that features children’s favourites menus such as Mac and Cheese, Mini Burger Sliders along with a Live Cooking Pasta station and many more. They can also enjoy available pastries and cupcakes along with candies and milkshakes provided by the Candy Bar and Milkshake corner. 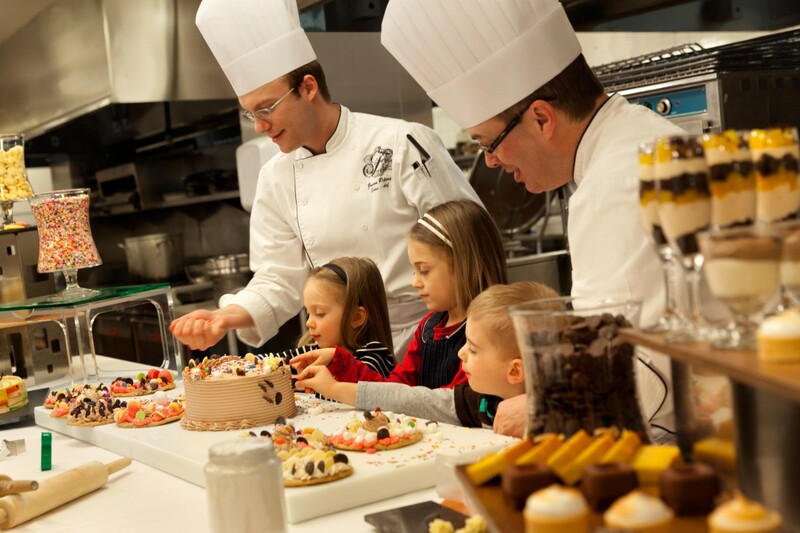 After the buffet, children can participate in an array of fun Easter activities such as eggs and cookies decorating, drawing and colouring and even watch children-friendly movies in the Easter Kids Zone. An Easter Bunny character will also be present to entertain the children on this festive day. The Italian Picnic Sunday Brunch and Easter Kids Zone will be held on Sunday, April 21, 2019 from 11 am to 3 pm. The Easter Kids Zone at Sapori Deli is open to all children who dine at the restaurant. Sapori Deli’s Italian Picnic Sunday Brunch comes at IDR 450,000++ per person with an inclusive non-alcoholic beverage. For more information or reservations, please kindly contact +622129703333 or email diningreservations.jakarta@fairmont.com .